Facebook has begun testing 360-degree video ads with a handful of brands, including Samsung, Nestle, and Walt Disney. Over a month ago when Facebook began rolling out 360-degree videos to select brands for news feed publishing, we got a glimpse into what the future of video advertising could look like on the social network. Now as Facebook opens up the ability for any brands or even profiles to upload 360-degree videos to the platform, allowing the opportunity to promote or serve the 360 videos as ads on the network is a welcome update for many brands. 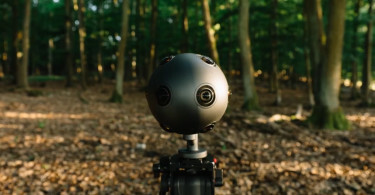 Brands also will have more control on how their 360-degree videos are formatted on Facebook, allowing publishers to edit the initial camera angle and vertical field of view before uploading the video. To learn more, you can check out Facebook’s 360 Video site for creators, publishers, and brands to get started. So what do the first Facebook 360-degree Video Ads look like? Here are a few that may just pop up in your newsfeed starting today. Part of Samsung’s #BeFearless campaign putting viewers atop New Zealand’s tallest man-made structure, the Sky Tower in Auckland. Promotion from Nescafe showing people sitting at their kitchen tables from around the world performing a musical song. A spot documenting a single family’s holiday party for a holiday campaign made along with Vayner Media, Edelman, and MediaVest. Part of AT&T’s #StrongCan campaign taking viewers on some practice laps with driver Ben Albano around a course. A spot for its Corona brand filmed in collaboration with Vice. Giving viewers a look at professional soccer players rushing the field. Walt Disney Parks and Resorts partnered up with Littlestar to film a 360-degree tour of the park with Goofy as your guide.